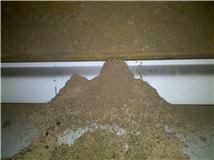 Carpenter ants can have multiple nest sites (main and satellite nests) and these may be spread out over a large area. 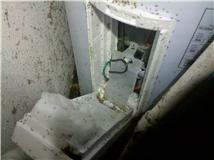 Elimination from the home with professional treatment is normal, but follow-up preventative maintenance is recommended to help prevent re-infestation. 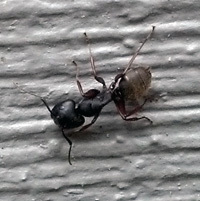 Moisture ants are small ants 3-5mm, reddish-brown to yellow in color with workers uniform in size. They have frass that has a coffee ground like appearance, as opposed to the sawdust look of carpenter ants. 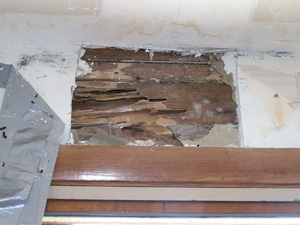 Moisture ant colonies will live in decaying wood and will continue to decompose it, but will not damage dry, sound wood. 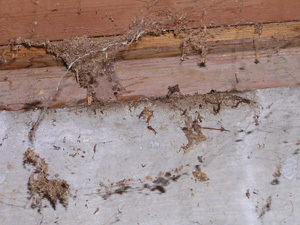 Control of moisture ants requires eliminating their food sources: wet, damaged, decaying wood completely, with an appropriate chemical application. 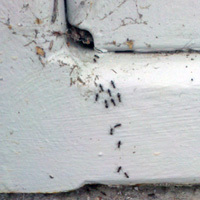 Nuisance ants are a variety of different ants that are, well, a nuisance! They are not wood destroyers but can cause a lot of grief for the homeowner that has them. Usually they are quite small and uniform in size, have multiple queens in their colonies, and can be quite large in numbers or even coexist with other colonies. Odorous house ants have a distinctive pungent “odor” when squished, for which they get their name. All of these ants are chemically sensitive, meaning “repellent” type chemicals will repel them from their pheromone trails, but they will find other pathways to preferred food and water sources. They also will “bud” or split their colony when threatened, often leaving the homeowner with multiple infestations instead of one. 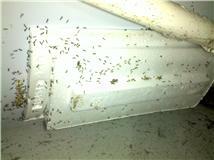 Nuisance ants are best treated with non-repellent type products by a professional. 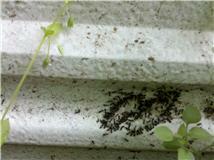 Ants will use foliage and stored items as pathways into structures, as well as direct routes. Keeping foliage trimmed back and stored items away from the side of your home will allow a thorough treatment application as well as eliminate alternate pathways for re-entry.